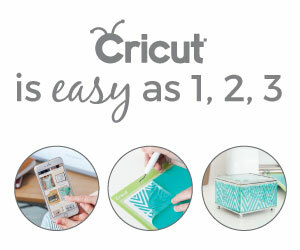 This week’s Cricut Mystery Box has a great variety of materials including vinyl, Disney paper, Party Foil, Everyday Iron-on, and felt! The Clover Mystery Box is $39.99 for products valued at $132.57! The Clover Mystery Box is available to US and Canada customers only. All sales are final, contents are subject to change, and quantities are limited. FREE Economy Shipping on orders $99+ to U.S. and Canada. Use code MARSHIP. The Leprechaun Mystery Box, the December 2018 Mystery Box, and the Snowbird Mystery Box are also available while supplies last.